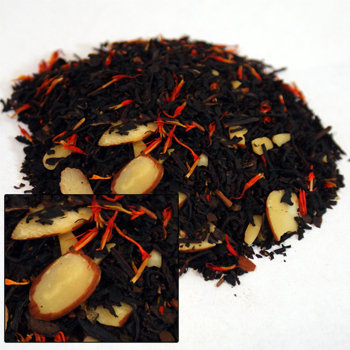 A luscious black tea blend with almond cookie flavor, safflowers and LOTS of almond pieces. This tea is dessert in a cup. No sugar or added calories, just delicious tea and nuts. Certified Kosher.